Home Gears Top Five Baby Hiking Backpack, #5 will Surprise You! Top 5 Baby Hiking Backpack. Find the perfect fit for your baby and you, while hiking. See where they stack on the list of Baby Hiking Backpack. Do you have children and love to hike? Many parents find it a struggle to keep up with their favorite activities after having kids. Are you one of those parents? Have you tried to carry your baby on your favorite trails awkwardly or have you just given up, on your dreams of hitting the trails? 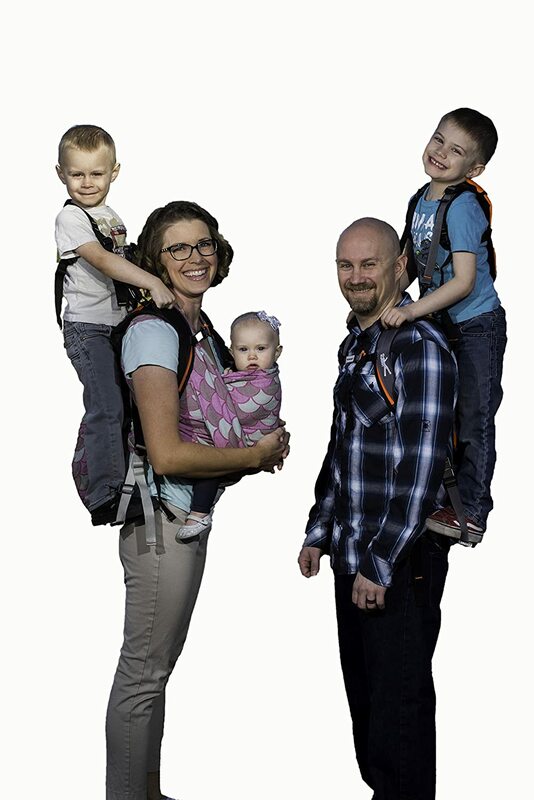 Over the last couple years, Baby Hiking Backpacks have grown in popularity. But how do you choose the perfect pack that will be comfortable and safe, for your hiking adventure? Baby Hiking backpacks can range from $120 to $500. But how do you know which one is right for you? We have compiled a list, of the Top Picks, in the five most popular categories, in baby hiking backpacks. The Deuter Kid Comfort 3, is the top selling baby hiking backpack this year. It features an ergonomic design, plenty of storage and pockets, JPMA safety certified, and an adjustable seat. This backpack is guaranteed to grow with your needs. It is priced at $280, but the features and quality are worth the cost. The company is committed to children’s comfort and safety. You will find the adjustable seat, will come in handy while your children begin to grow, but are still not ready for hiking themselves. The five-point harness, prevents children from climbing out of the pack, while you are hiking. This baby hiking backpack, has a 4-star rating, with very few negatives. Some of the drawbacks talked about, were the front chest straps not being comfortable for shorter women and the instability of the pack when sitting by itself, with a child inside. If you have any comments about this pack, please let us know in the comments section. We would love to hear your thoughts. 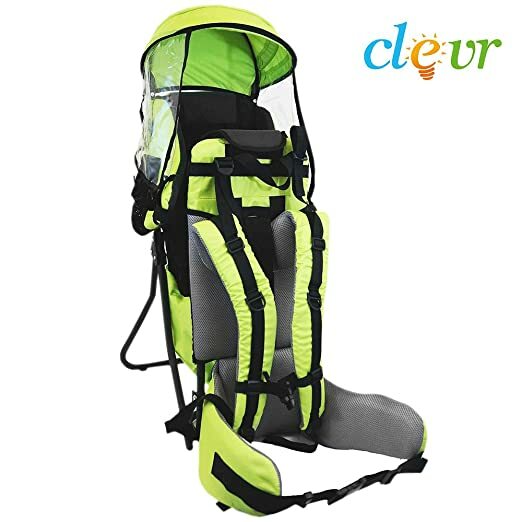 If you are looking for a hiking backpack at an affordable price, look no further than, the Baby Back Pack Cross Country Carrier from Clevr. This lightweight (5.1 pounds) carrier is equipped with lumbar support, padded shoulder straps and a canopy situated above the child’s head. There are a few things you should never compromise when it comes to baby hiking backpack, and safety is one of them. This baby hiking backpack seems to be one of the sturdiest and safest on the market. They do recommend that before using your pack that you read all instructions. Clevr is a great quality company, and this particular pack has hundreds of happy customers, rating this product at 4.5 stars. Customers with negative feedback, for this product, stated that the product came with the wrong clasps and returned them for replacements. So it is safe to say, that even for the lower price, this baby hiking backpack is a great buy. Let me know if you have ever used this product in our comments section. 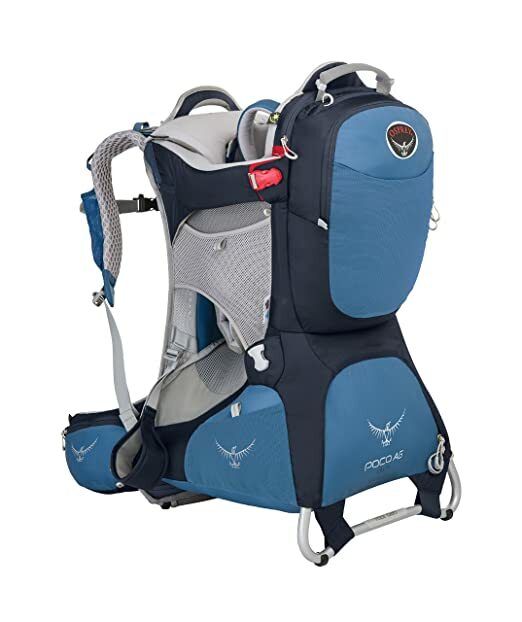 With hours on the trail, nothing compares to the Osprey POCO AG Plus Child Carriers, comfort. This backpack features a lightweight frame and soft and breathable fabric. Also, it features one thing that other backpacks don’t, adjustable straps. The Harness, waist belt and torso are all customizable, allowing for maximum comfort. 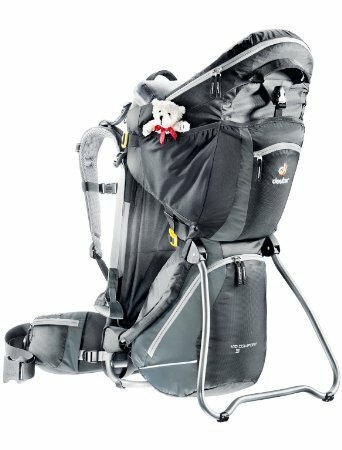 This award winning baby hiking backpack is prized for its safety rating and comfort level, for both the carrier and the baby. Safety stirrups, lined and padded baby seat, and butterfly harness seem to be unique to the Ospey. Also, you will be pleased with their re-enforced extra wide base, that is sure to prevent falls when placing the baby and backpack on the ground. At 4.5 start rating, this baby backpack has loyal customers. Most of the reviews, praise the go-as-you-grow quality of this backpack. They also, enjoy the comfort and safety qualities. However, a few of the reviewers mentioned that even with the adjustable functions, the waist belt seems rigid and uncomfortable. If you have tried this product, let us know what you thought. 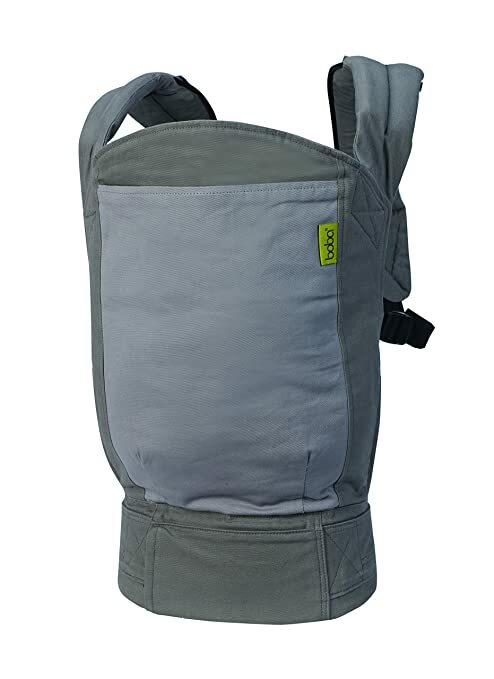 When hiking with an infant, you have to do things a little different and the Boba 4G is a great carrier to use. It is made with a 100% cotton, providing a soft and breathable material for your infant to snuggle. Created to be both a frontal and backward carrier, the Boba 4G grows with your needs. Infants require to be monitored, so having a front facing carrier, helps leave the worries at home. With limited adjustability, this carrier keeps its ergonomic and safety features sturdy, while fitting both men and women comfortably. The frontal and backward position, nuzzles your child close to your body, without the worry of your child slipping out of the carrier. Customers of the Boba 4G, have high praises for this carrier, rating at 4.5 stars. Comments range from comfort for all body types to the durability and sleek design. As with all products, there were a couple of reviews, that stated dissatisfaction with the straps under the arms, claiming that there was not enough padding. As with all our top picks, let us know if you have any comments on the Boba 4G. The Piggyback SCOUT Model is an interesting pick, which falls somewhere between toddler and preschooler. The pack is the lightest on our list, weighing two pounds. It has a hydration pack and a foot rail, with straps and handles for young children to ride on your back. This solves the problem, of young children needing to be carried, when they are tired of hiking. For kids over 25 pounds, they offer a waist strap accessory, to help with balancing the weight distribution. The pack is only good for day trips because it doesn’t have any storage space. However, this is a great alternative for families, who struggle with younger kids, who want to ride for part of the hike. There are some serious trade-offs, for the convenience of having your kids hop up, for a ride on your pack. It has been reported, that the straps and harness fit to snug and cut into your shoulders. Also, without the added waist strap, weight distribution is poor. However, with a 4-star rating, more customers are happy with their Piggyback SCOUT, then dissatisfied. If you have ever tried this pack, leave a comment for us. Only you know your child, so please if your baby doesn’t seem to be big enough to fit into the baby hiking backpack, please do not use it. Most packs are rated for children between 10 and 40 pounds. So when you decide to use a baby hiking backpack, make sure you are aware of your child’s weight and the manufactures weight recommendation. Also, be careful hoisting your child and backpack onto your back. I recommend, that you try it out a couple of times when there is another adult available for support in case you need assistance. There are many things to consider when choosing your baby hiking backpacks, but safety is always the first, so make sure that you are checking the safety ratings and customer reviews. I hope that you have gained some valuable information on what types of baby hiking backpacks might be right for you. Let us know what baby hiking backpacks you use and where they fall on the list. Happy hiking!